UN resolution calls for Syrian military, opposition forces to cease fighting, retreat from Golan Heights. the ceasefire in the Golan Heights, calling for armed groups to leave the Syria-Israel border area. Part of the Golan belongs to Israel, while another part is controlled by Syria. Currently, the only fighting in the Golan occurs on the Syrian side of the border and is due to the Syrian civil war. 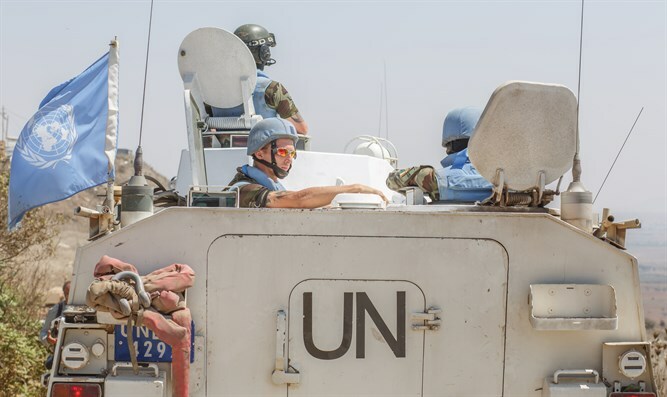 "There should be no military forces in the area of separation other than those of UNDOF," reads the resolution drafted by the United States and Russia. The text condemns "the continued fighting in the area of separation" and calls on "all parties to the Syrian domestic conflict to cease military actions in the UNDOF area of operations." It "stresses the obligation on both parties to scrupulously and fully respect the terms of the 1974 Disengagement of Forces Agreement."